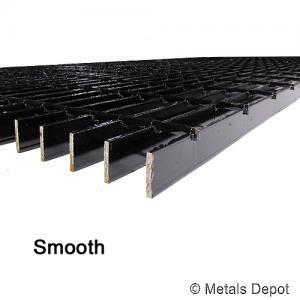 Steel Bar Grating, also known as Welded Steel Bar Grate is extremely strong and durable for all load bearing applications and is primarily used for pedestrian and light vehicle traffic. 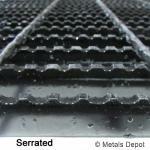 Steel Bar Grating is available in a variety of bearing bar spacing and thicknesses depending on applications and load requirements. Available in either smooth top or serrated for slip resistance. 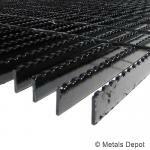 See PDF specification sheet by clicking steel bar grating load tables. 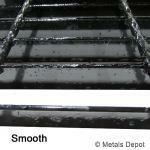 *Also available: Galvanized Bar Grating, Aluminum Bar Grating and Stainless Bar Grating. For ready to ship premade Trench Grates Click Here! Select ... 2 x 1 Ft. 2 x 2 Ft. 2 x 4 Ft. 2 x 6 Ft. 2 x 8 Ft. 2 x 10 Ft. 2 x 20 Ft. Select ... 3 x 1 Ft. 3 x 2 Ft. 3 x 4 Ft. 3 x 6 Ft. 3 x 8 Ft. 3 x 10 Ft. 3 x 20 Ft. Select ... 2 x 4 Ft. 2 x 8 Ft. 2 x 10 Ft. 2 x 20 Ft. Select ... 3 x 4 Ft. 3 x 8 Ft. 3 x 10 Ft. 3 x 20 Ft. Select ... 2 x 4 Ft. 2 x 6 Ft. 2 x 8 Ft. 2 x 10 Ft. 2 x 20 Ft. Select ... 3 x 4 Ft. 3 x 6 Ft. 3 x 8 Ft. 3 x 10 Ft. 3 x 20 Ft.